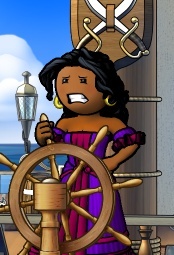 Puzzle Pirates Forums - View Thread - Periodic Portraits 2019! Forums » List all forums » Forum: Events! » Thread: Periodic Portraits 2019! We'll be creating whisks to creatively named ships throughout the year. These will be special locations for you to take portraits solo, with your friends, and maybe with an Ocean Master or two. We will be posting dates and unique ship names for each ocean. There will be a whisk on the events tab of the notice board which will remain up for the whole day or longer. These are NOT free portraits - it's just an opportunity for you to get a portrait with a special ship name and maybe a special background. We will be choosing names based on the season, holidays, special in game events or the current theme for the limited edition portrait backgrounds. 2017 here and 2018 here . Ahoy 2019!! Aye, we aren't quite there yet, but best to be prepared! January 01 and it is the first day of a "Happy New YeARRR"
January 07 is Old Rock Day! Celebrate with yer rockin' buddies on board the fine vessel"of rocks"
January 15th is National Hat Day! Time to look dandy while "wearing many hats"
February 5th is Chinese New Year! Celebrate the start of a new year on board the "Year of the Pig"
February 14th is Valentines Day! Will you celebrate on board "Lovesick Leviathan" or "Love Stinks"
February 20th is Love Your Pet Day! 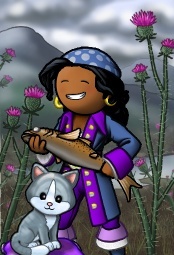 Show off yer favorite pets on the "Fur-ever Fur-ends"
February 26th is Tell a Fairy Tale Day! A good story always starts with "Once Upon A Time"
Only 335 days 'till Xmas!!! Alright, alright, plenty of time to recover from this Xmas and plan for the next still! 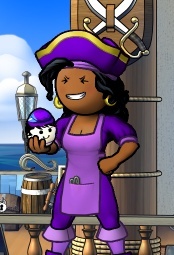 While you recover from the holidays, keep yerselves entertained on board the portrait ships! March 1st is Pig Day! 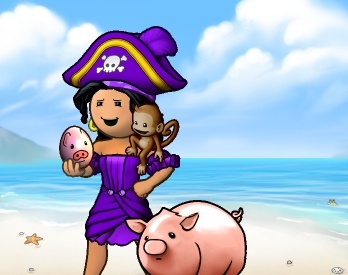 Celebrate with yer favourite pet pig on board the fine vessel"of pigs"
March 14th is Pi Day! Ponder the wonder while having a "Slice of Pi"
March 17th is St Patricks! Celebrate and "Shamrock On"
March 26th is Make Up Your Own Holiday Day! How good are you at"making it up"
April 1st is Aprils Fools Day! Play a prank on board the "Playing the April Fool" while "wearing silly glasses"
April 19th-22nd is Easter! Will you celebrate on board "covered in eggs" or "of rabbits"
April 22nd is Earth Day! Celebrate on board "In Full Bloom"
April 25th is ANZAC Day! Remember the sacrifices made by others on "Lest We Forget"
Seasons are changing, and so are the portrait ships! May 4th is Star Wars Day! Will you be"feeling the fourth"
May 20th is World Bee Day! "To Bee or Not To Bee" that is the question! May 25th is Towel Day! "Don't Panic" the answer is "Forty Two"
May 27th is Memorial Day! Contemplate on board"Always Remembered"
June 4th is Hug a Cat Day! Hug a floof on board the fine vessels "of cats"
June 8th is World Oceans Day! Will you be "sailing the salty seas"
June 15th is Global Wind Day! 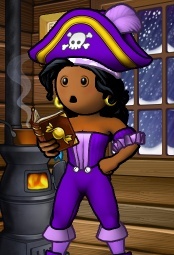 Batten down the hatches while "braced against the wind"
June 25th is Day of the Seafarer! Here we are, "anchored in tradition"